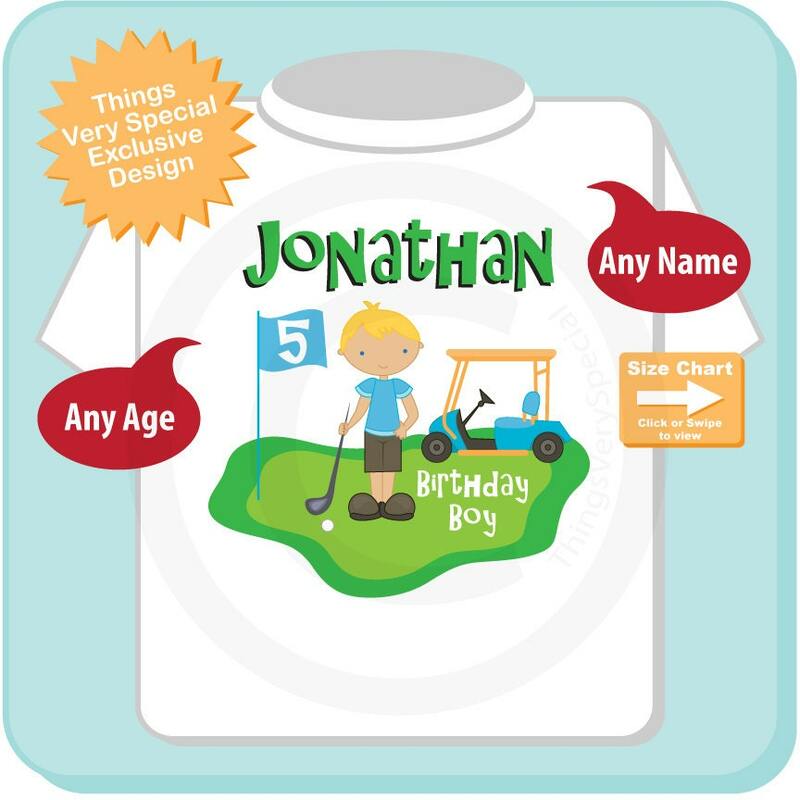 This cute Fifth Birthday Golf Theme tee shirt or Onesie Bodysuit with cute birthday Golfer can be personalized with your child's name and age. If you prefer we can leave off the Birthday Boy and have it just have the name, or name and age. Age you would like in the Flag. Awesome birthday shirt. Received tons of compliments. Received in mail in a timely manner. 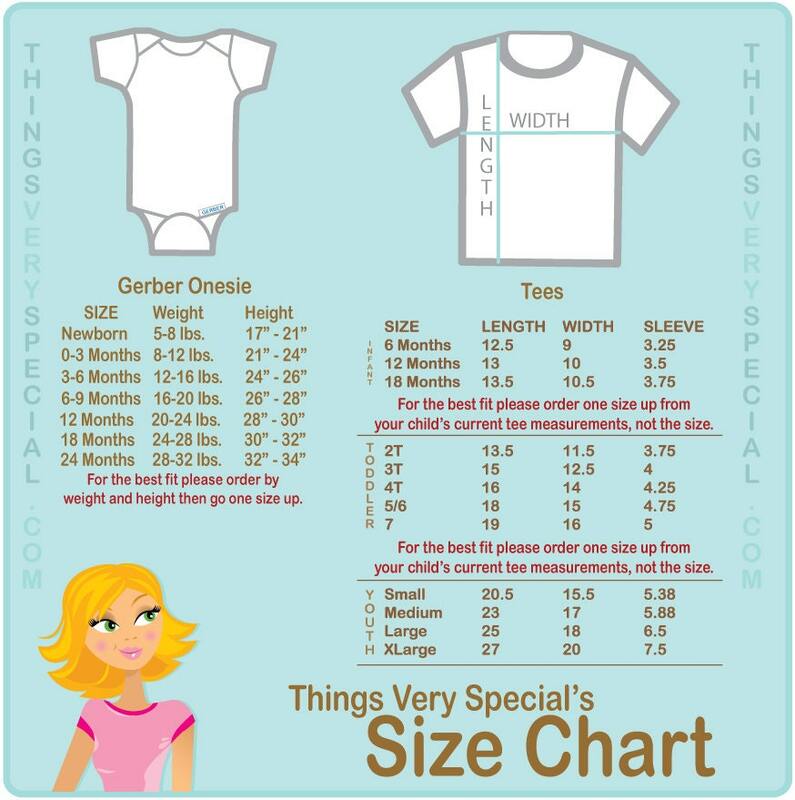 Would definitely recommend this seller.